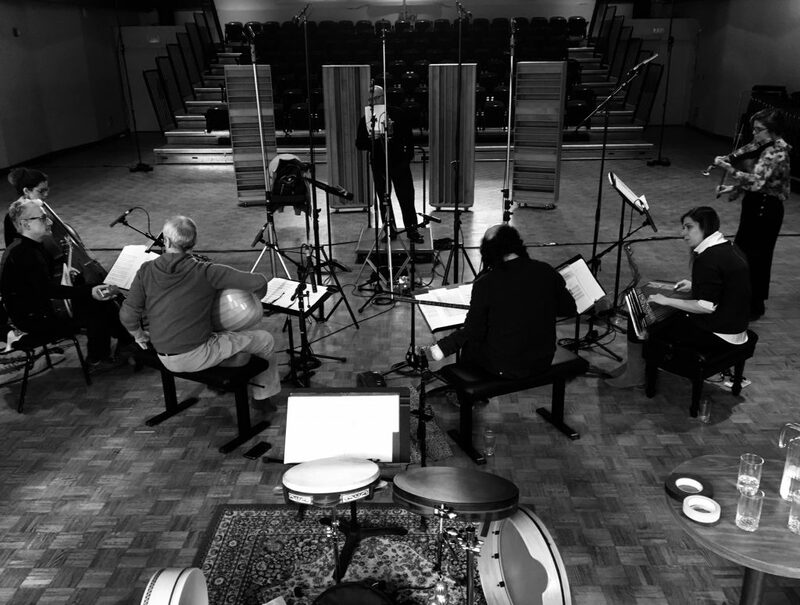 Recording at Rolston Hall, the Banff Centre, April 2019. From left to right: Didem Başar, Elinor Frey, Tanya LaPerrière, Kiya Tabassian, our great engineer James Clemens-Seely, Fabio Accurso, Stefan Rocco, Marco Beasley and P.G. I spent these past 10 days on the road with the Constantinople project ‘Dalla Porta D’Oriente’. We performed concerts in Québec, Victoria, Montréal and Ottawa. We also spent three intense days at the wonderful Banff Centre for the Arts recording the music of the project for a upcoming CD. ‘Dalla Porta D’Oriente’ is a collection of Italian, Ottoman and Persian songs and instrumental pieces from a 17th century manuscript by the Polish musician and orientalist Ali Ufki. The project was created and premiered in 2017 and it features three stars of the Italian early-music scene, the superb tenor Marco Beasley, lutenist Fabio Accurso and theorbo player Stefano Rocco. 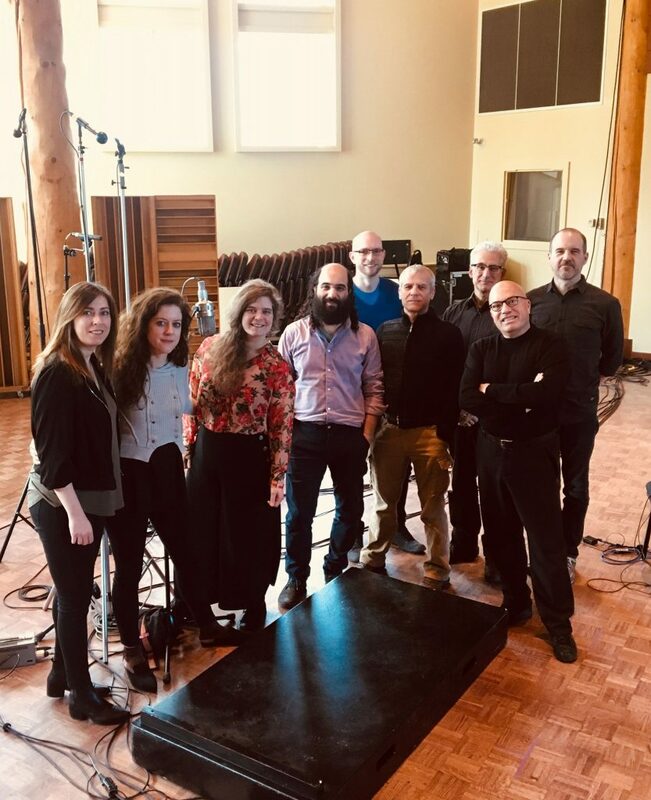 Constantinople is headed by ensemble director Kiya Tabassian (setar and vocals) and it includes Didem Başar (kanun), Tanya LaPerrière (baroque violin), Elinor Frey (cello), and myself on various frame drums and tambourines. This entry was posted in News and tagged Banff Centre, Constantinople, Marco Beasley. Bookmark the permalink.